I don’t claim to be an expert in macro photography. But it is definitely one of my favorite genre’s of photography. It’s very soothing and relaxing. I also love the beauty of nature and I love capturing that. I am that crazy person that is always outside scouting out beauty in my own backyard. I am that lady that asks for flowers when someone asks me what gift they should get me. And I am that lady that steals your flowers (sorry mom!). But I don’t only find beauty in flowers. I love buds, grass, leaves, anything nature. Just give me my camera, macro lens, and nature and I’m good to go. So first and most important is your equipment. Sure, you can take pictures of nature with a normal 50mm 1.8. But you won’t be able to get that detail and that texture you so crave with just a simple lens. You’ll need a macro lens. The one I have is an older version, Nikon 105mm 2.8, it doesn’t have the nice vibration reduction (VR) like the newer lenses have. I will one day upgrade to a lens that does have VR. I’ve heard that they are so much easier and nicer to use. Now, if you’re not sure you’ll like macro photography (like me) and don’t want to spend a ton of money on a macro lens only to find out you really don’t like it, I would suggest buying macro extensions first. I bought them first and decided, yes, I really do enjoy macro photography and then moved on to buy my Nikon 105mm 2.8 lens. I will point out that macro extensions do not work as well as macro lenses. They don’t get you the clarity a macro lens would. But they do allow you to see if you really want to splurge on a macro lens. I’ll be first to admit that I love wide open images. Even in macro photography. 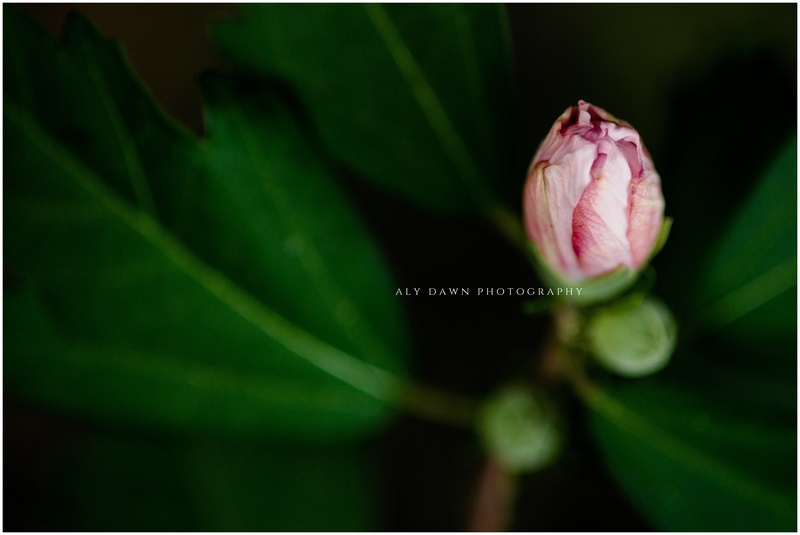 But just like in your normal everyday photography, I would suggest experimenting with different apertures. The image above is shot at an f stop of 8. That is quite a bit higher than what I would normally do. But as you can see, since it’s a macro lens and the compression is greater than a normal lens, the background is still blurry. Experiment and see what type of aperture you like best. 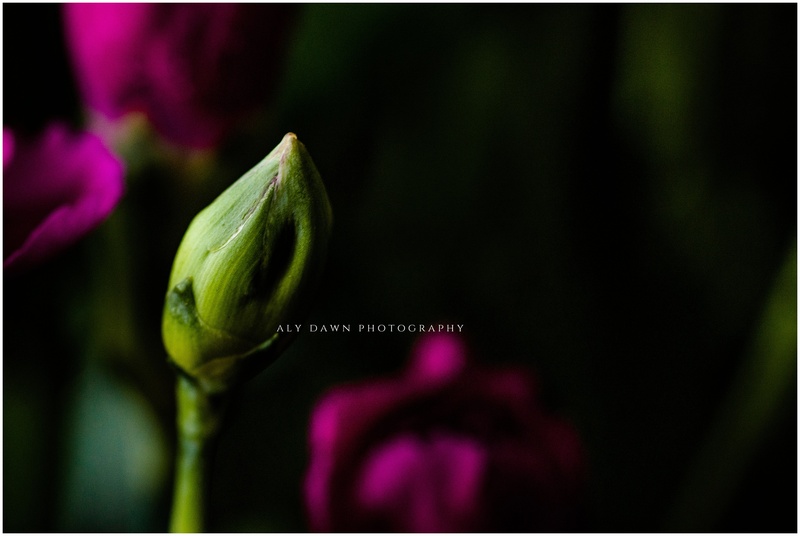 I do a variety of apertures to get different effects. If you have a wider aperture (lower f stop number) you’ll come to find it a little challenging to get what you want in focus, but it can create a beautiful effect that I sometimes go for. I have a spray bottle that my husband got me as a gift (us photographers ask for the weirdest things!). And I love using it for my macro photography. 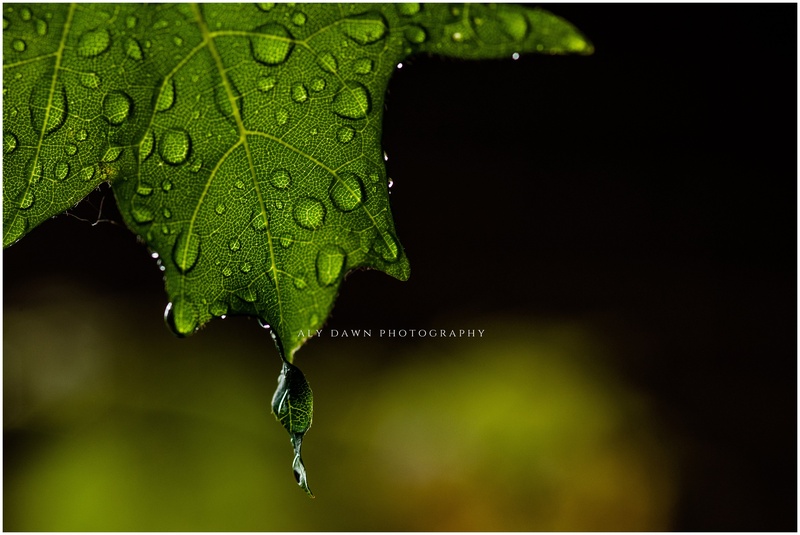 I also love going out in my backyard right after a rainfall to capture the beautiful natural water droplets. I love adding water because it gives you something else to focus on. It adds texture and dimension to your macro work. If you don’t have one already, I highly recommend going out and buying a third hand. I use it when I get flowers and for when I just want to isolate one flower. It is so great. Plus you can move your flower to any background you want, it doesn’t have to be the bouquet of flowers that came with it. 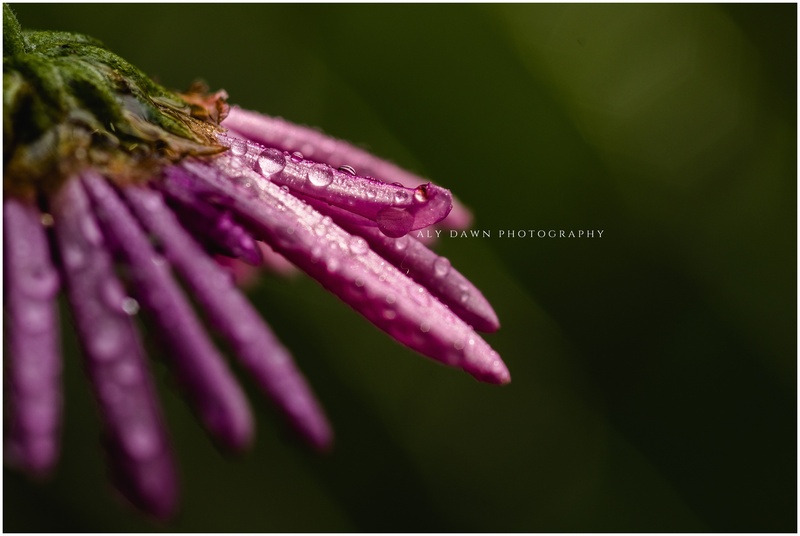 Like the image above, I used a third hand to isolate the flower and get it with a plain background to really exaggerate the flower and water droplets. Macro photography, once you start, is very addicting. It’s one of my favorites things to photograph. So, I dare you to start. You’ll be forever grateful that you found such a beautiful genre of photography. 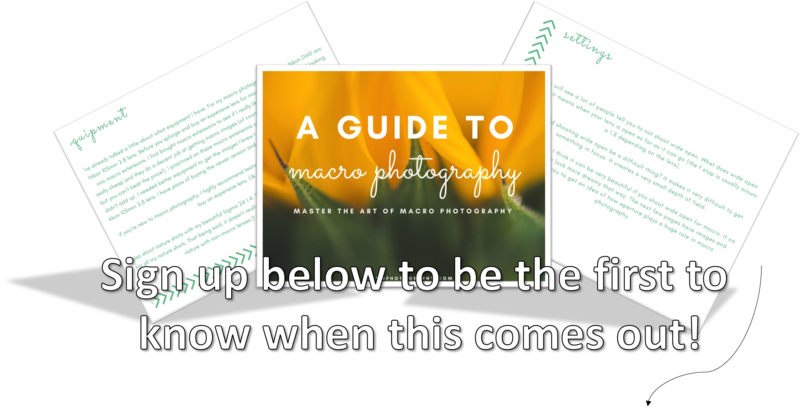 I am working on a macro ebook! 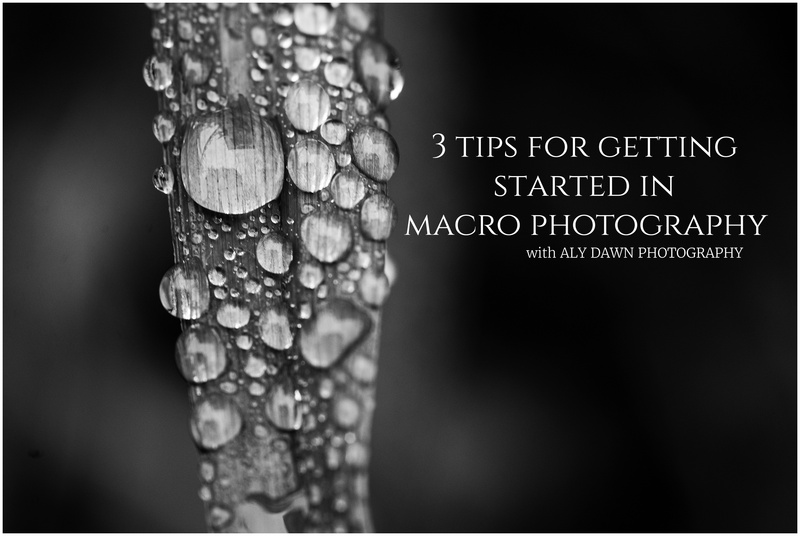 This ebook will include tons of pages on how I go about taking macro pictures. It will also include editing videos and cheat sheets! You do not want to miss out on this! The ebook will be released early 2018! If you’d like to be the first below, leave your name and email! I’ll be sure to let you know the moment this becomes available! Thanks for your info. I’m just starting out. Your info was encouraging. People need that when they are novices. There is so much to learn. I wish you much success. Loved your article! I love the beauty found in nature too. I’m not ready to buy a new lens, but those extenders might be just what I’m looking to try out! I’ve never heard of a third hand before – how does it work? Thank you, Ali! I apologize about just now getting back to you, I’ve been MIA since the birth of my child. 🙂 The third hand is great to get isolated images of one flower. I put the flower on it and can then move the flower in any direction I want. It basically works as if you were holding the flower out with your own hand, but allows you to use both of your hands. It’s a great addition to macro photography and I highly recommend it. I will post a blog post just about third hands this week – stay tuned for it!